Practiced bed time routine? Trying hard to impart a routine? Finding it difficult to create a sleeping schedule? Your child may not sleep regularly or properly for many reasons. You could be one of the reasons! Knowing why your child is not sleeping would be helpful in finding the solutions. Following are the reasons why your child is not sleeping! When your child doesn’t get the short nap or naps in the noon, he or she may find difficulty in falling asleep at night. The short naps make your child active and healthy! Children under the age of 5 need a minimum of one short nap during the day. If you feel your child need some sleep, let him or her sleep for a while, as long as the nap time is not closer to bed time. Children dream a lot, lot more than adults. However, they just don’t remember it! 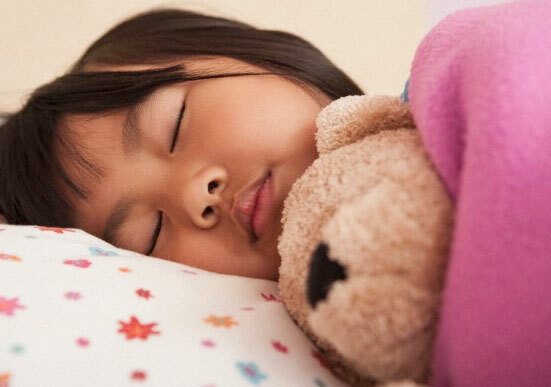 Kids may get some wild and bad dreams affecting their sleep. While most of the wild dreams are quite harmless, they do ruin the sleep. The bad dreams may be an outcome of fear over something. If your child often gets bad dreams followed by affected sleep, consult with your doctor. So many activities are involved in a child’s everyday life. Kids need a minimum of 10 hours sleep a day including the long night’s sleep and short naps. However, this sleep is interrupted when they are excessively tired. Children may experience some kind of difficulty in breathing properly due to blockages in the respiratory tract. It could be due to accumulation of mucous or asthma, etc. Most of the little ones won’t be able to express their discomfort. Stomach pain, ear pain or tooth pain may disturb their sleep or prevent them from falling asleep. This may not happen very often, but don’t ignore. Some cold, fever or allergy drugs can affect the child’s sleep. Consult with your pediatrician if medicines seem to keep your child up. Changing the medicines, timing or dose might help. Little ones expect love and care round the clock. When you put them asleep, they need you or some kind of pacifier like a teddy around, which makes them comfortable! Absence of this pacifier affects the sleep, where it makes the children to feel so lonely. Give them a stuffed toy to establish the regular sleep routine. Check the bed room where the child sleeps! Children even elders need a pacifying and dark place to rest after tiring day. When your bedroom stays up for a long time, your child would do so! Also, make sure that the bedroom is quite enough to induce sleep. Watching television, screens, too dark or too bright light, etc. also affects the sleep.